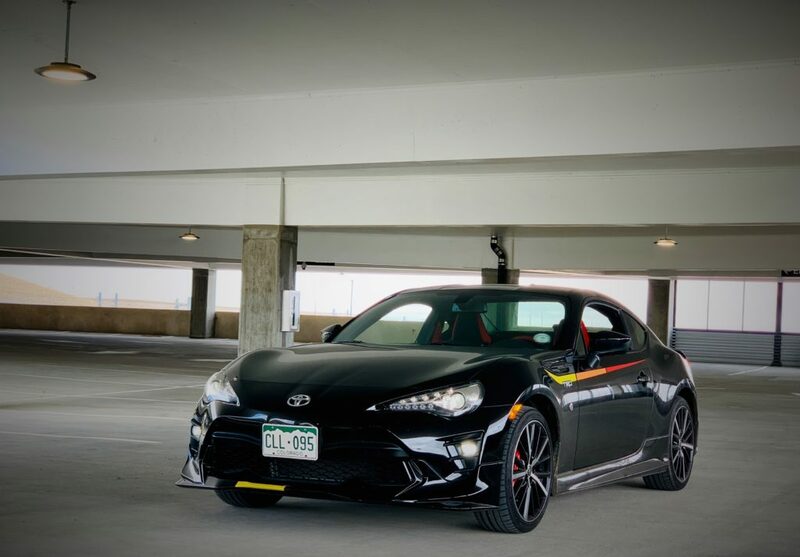 The Toyota 86 TRD Special Edition is the most expensive version of the 86 with 18-inch wheels, unique body-colored front, side, and rear spoilers, upgraded sport suspension, larger brakes, and TRD exhaust as standard equipment. LED exterior lighting, heated mirrors, and variable intermittent wipers help to see (and be seen) through the waves of much taller crossovers and pick-ups. The interior features deeply bolstered six-way adjustable driver’s seat, a tilt and telescoping leather-wrapped steering wheel, and red seat belts that match the additional red stitching and stretches of leather throughout the interior. 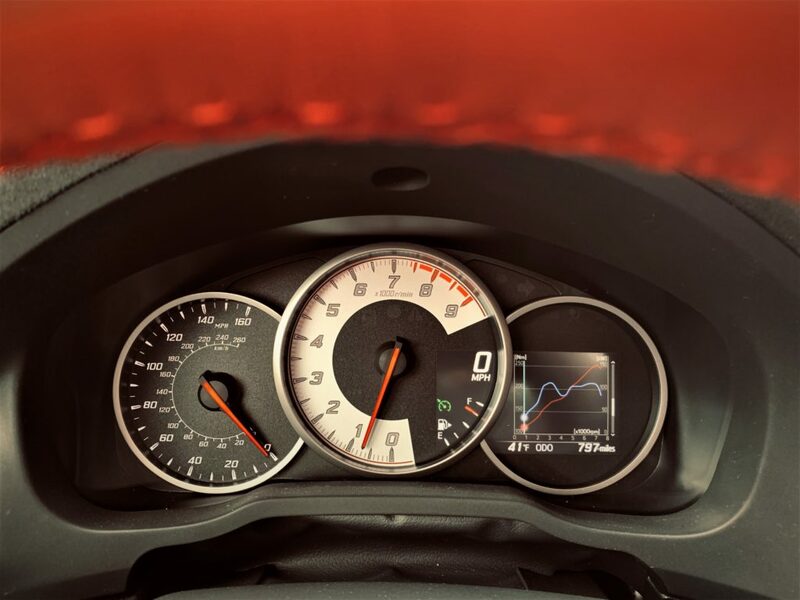 A 4.2-inch color display resides under the combimeter hood and provides general trip and economy information, while additionally, it displays performance stats and even shows a dynamic trace along the engine’s power curves – that’s down-right awesome and practical for this engine. Audio is controlled through a minimalistic seven-inch touchscreen and it was easy to learn, never frustrating to use, and quick across different menus. Bluetooth, USB, and aux-inputs are offered but SiriusXM, Apple CarPlay, Android Auto, were notably absent. A Navigation system is available for $900 which is a worthy option to eek the most out of each curve ahead. 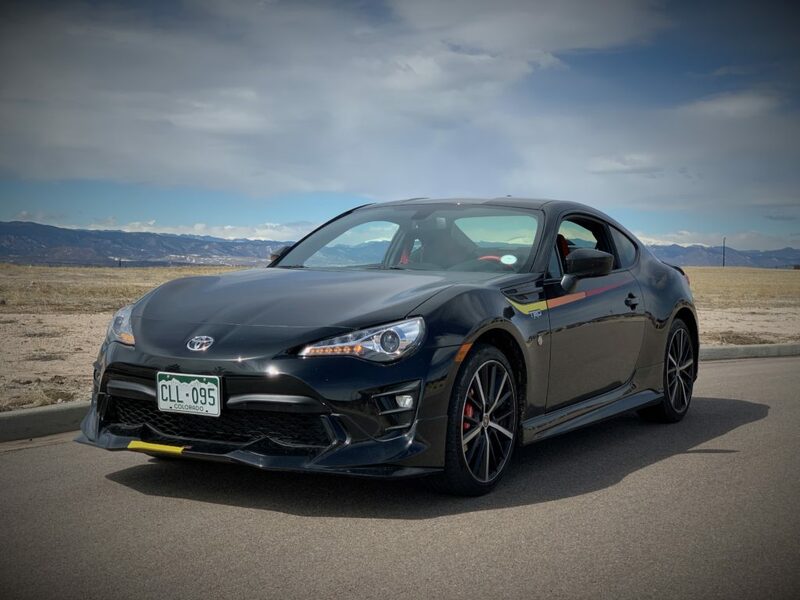 Whatever the business reasons, Toyota chose to not equip the 86 with active safety equipment just yet, though that will likely change for 2020. Instead, the Special Edition is equipped with a different kind of active safety package that includes larger Brembo brakes for improved braking power and fade-free track days, stickier summer-only tires, and a track-specific vehicle stability control mode that gives the driver a safety net around the track. The Toyota 86 began life in 2013 as a Scion FR-S which is likely where the small coupe got its styling freedom. The low hood is straddled by high fender arches that are visible from the driver’s seat. The smoothly curved roof lines and door panels give way to a shapely rear quarter panel. 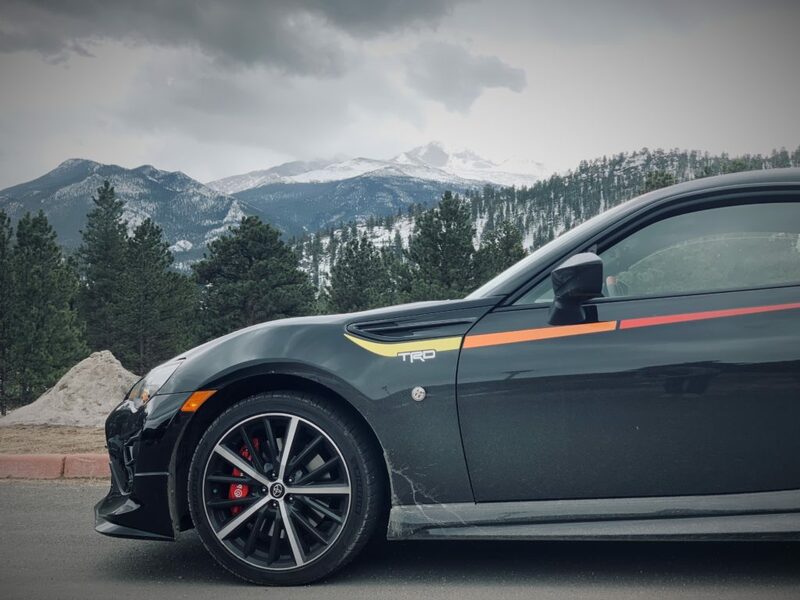 This Special Edition gets TRD yellow/ orange/ red door striping, an emblem imprinted on the front splitter and the rear diffuser which are a part of the more aggressively shaped lower body kit. The added bits seem a bit too loud for this underdog sports-car. Straight line-speed just isn’t its forte. The interior is cozy without being overly confining though Toyota isn’t fooling anyone with putting a couple of seat belts in the rear. As a practicality bonus, the back seat can fold down. Visibility out front and to the sides is aided by thin a-pillars, frameless door windows, and tidy-shaped door mirrors. The design of the interior equals the understatement-with-flair design of the exterior. 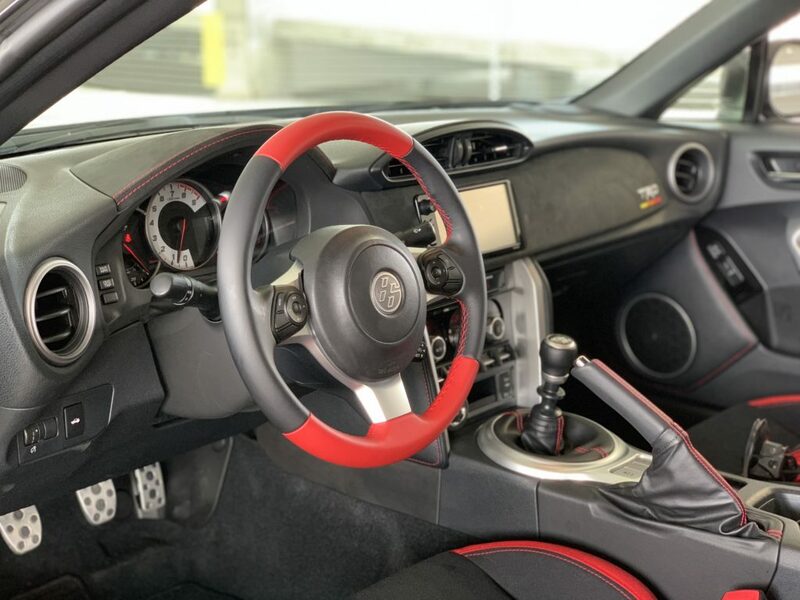 A black interior is splashed with red leather on the steering wheel and handbrake, while red stitching and a suede-like surface material cover the door panel and gauge cluster hood while the large flat surface in front of the passenger also receives a thickly stitched TRD logo – very cool. 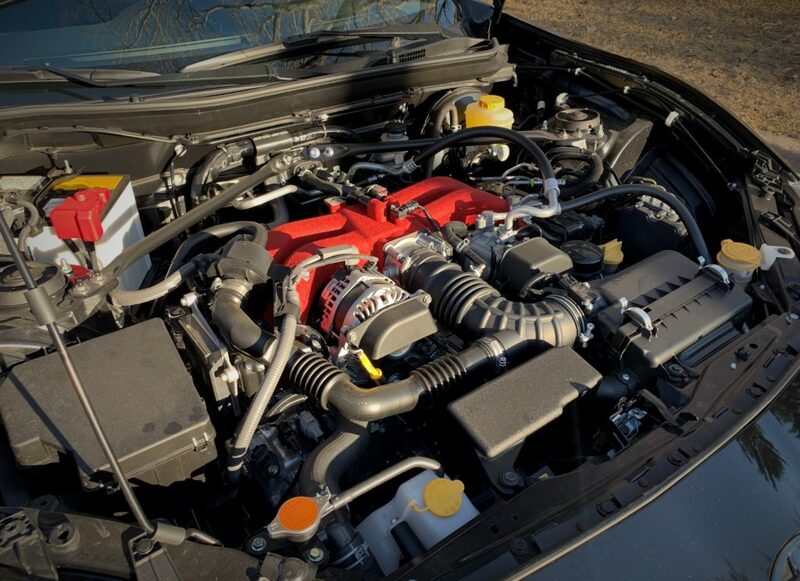 The lack of power provided by the atmospheric 2.0-liter four-cylinder engine is easily the most detracting part of the car though it’s not for lack of high tech as it sports variable cam timing and phasing, two fuel injector locations, a high compression ratio, and more. Torque arrives in two distinct phases, one around a decently low 3,000 rpm and the other at a much higher 6,500 rpm where it actually achieves its peak 156 lb-ft of torque. 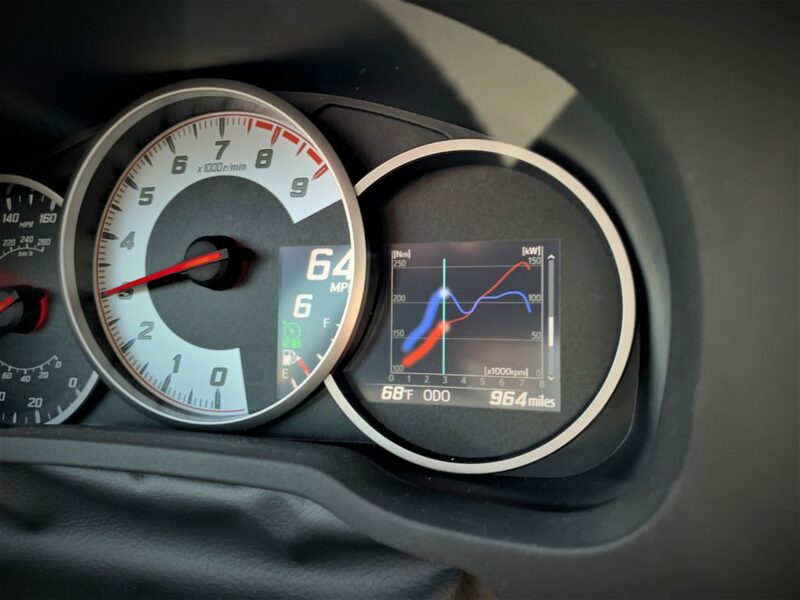 Peak horsepower is achieved just shy of redline at 7,000 rpm tough real motivation kicks in around 5,500 rpm with a mechanical snarl. It’s when the engine is caught between these power curves does it feel disappointingly slow and simply winding out the engine around town causes more attention than preferred. 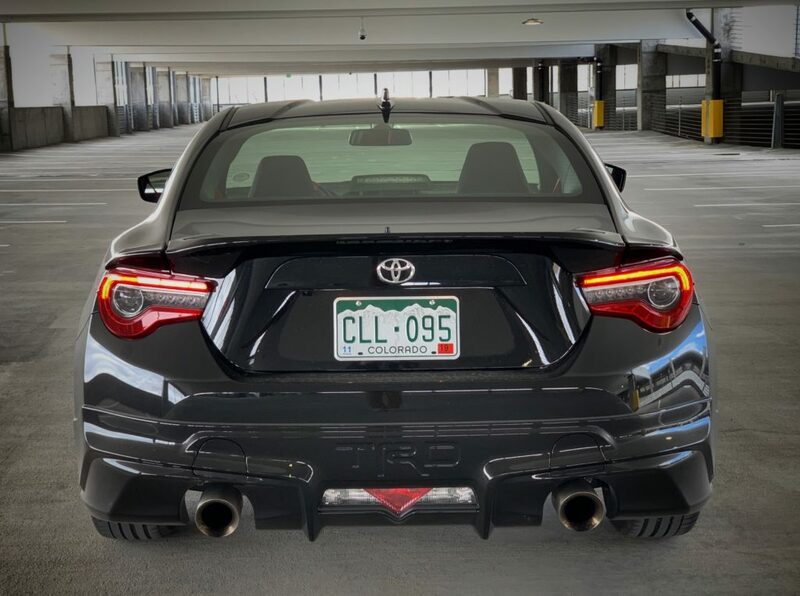 The TRD exhaust generates a booming noise that grows tiresome and feels unwarranted around town. 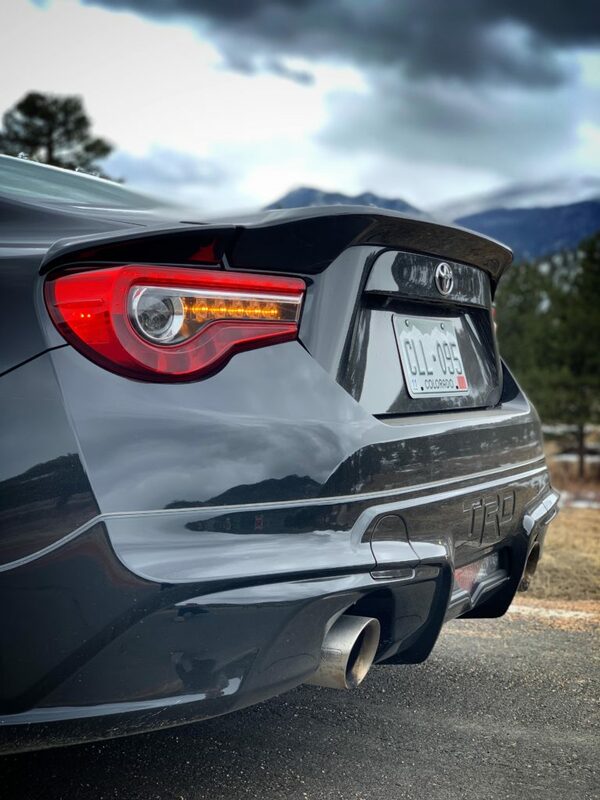 But since the loud pipes are there, they’re effective at announcing your perfectly executed heel-toe downshifts (thankfully easy to do in this car). The EPA grants the Toyota 86 official estimates of 21 miles per gallon city, 28 highway mpg, and 24 combined. During my time, I earned a solid 26 mpg which involved a lot of spirited driving, stop-and-go, as well as highway jaunts. 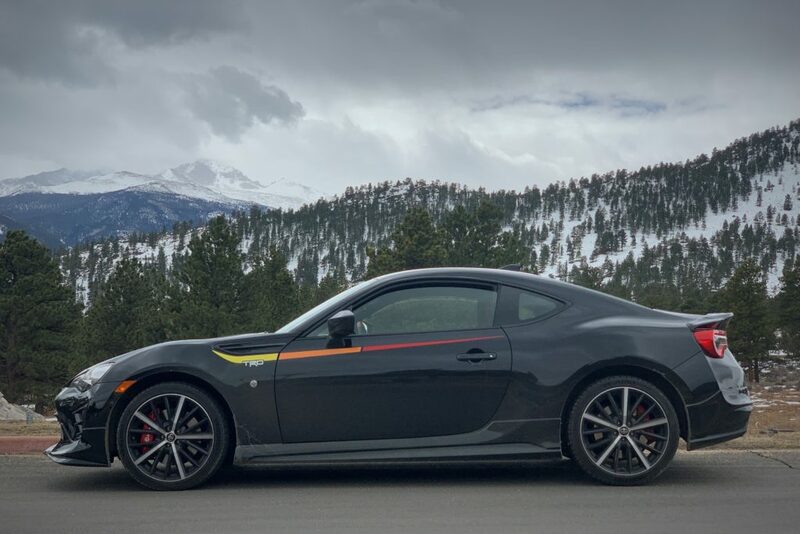 The handling performance is what defines this lightweight sports car and for the 86 Special Edition, the chassis is further improved with Sachs dampers that are excellently tuned to dampen impacts while maintaining excellent body control on winding mountain roads. The body is solid and quickly conveys what is happening at the rear of the car relative to the front. Late brake is effective at coaxing the rear end to rotate while the steering wheel and seat are very good at communicating the action underneath. It’s a lot of fun at a reasonable speed. On the highway, the short wheelbase simply follows dips in the road like a roller coaster instead of floating over them though impacts are impressively dampened. The tire noise, wind noise, and exhaust noise can take its toll on long half-day-long back-road excursions but all is forgiven once the road gets twisty and/ or the race-track is reached – though that wasn’t on my agenda this time. 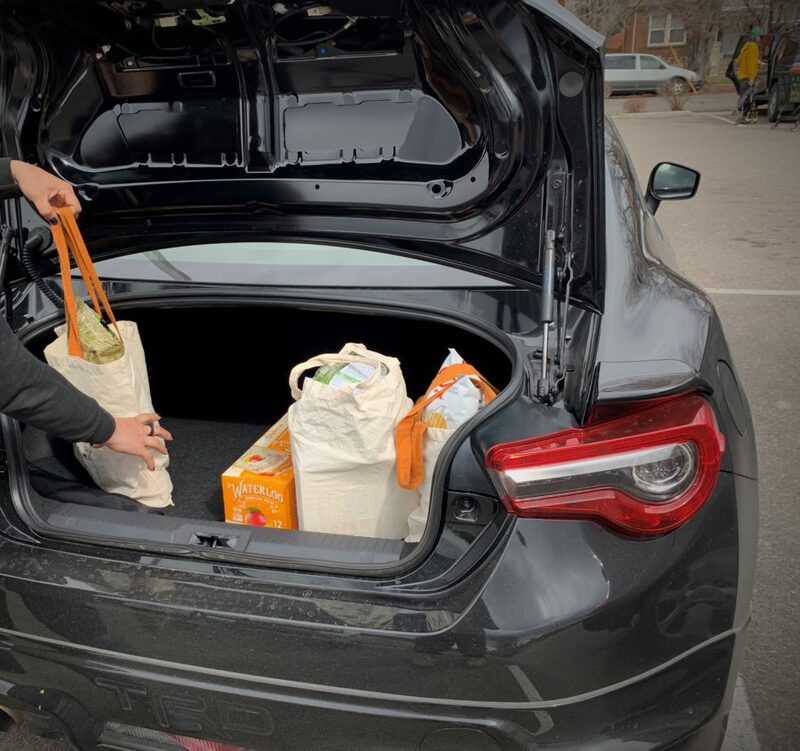 The car is entirely capable of everyday driving with an easy and communicative clutch and smooth initial throttle control but the interior noise and seats aggressive posture (good for racing) may cause a second thought before committing to an all day road trip. 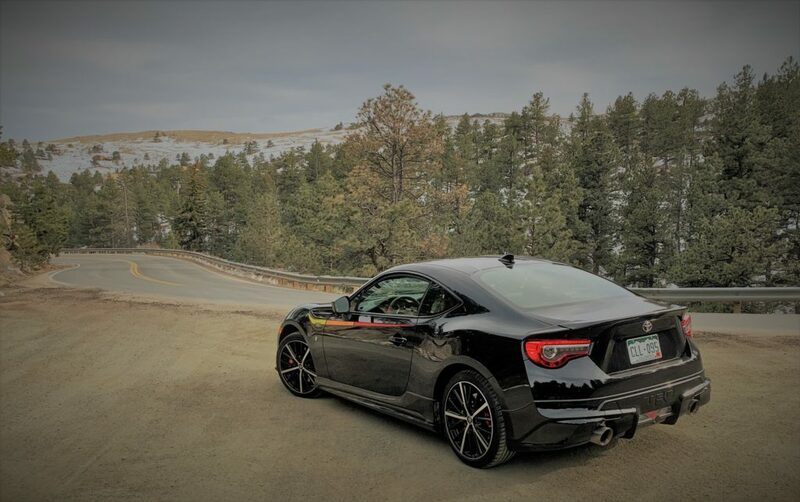 The Toyota 86 is for the committed driving enthusiast who lives for the curves.